The era of President Chen Shui-bian (2000-2008), a supporter of Taiwanese independence, saw an ever growing deterioration of the already precarious cross-strait relations. Chen's successor, Ma Ying-jeou, the leader of the same Guomindang that ruled mainland China from 1927 until 1949, set aside old resentments and sought to improve ties with Beijing. His presidency, which lasted from 2008 until 2016, will be remembered for the unprecedented rapprochement between the two sides. It culminated in the historic handshake between Ma and Communist leader Xi Jinping in November 2015. Yet while the Guomindang and the Chinese Communist Party (CCP) celebrated their reconciliation, large sections of the Taiwanese population were alienated. They regarded Ma's pro-China policy as a dangerous game with a dictatorial government that has never renounced the use of force to annex Taiwan. Consequently, the electors punished the Guomindang, which at the 2016 general elections scored only 31% of the votes, an abysmal result. The Democratic Progressive Party (DDP) led by Tsai Ing-wen received a staggering 56.1% of the votes - a clear popular mandate. But while the DDP's "Taiwan-centric" stance resonates with the electorate, China remains a thorn in the side of the Tsai administration by virtue of its military capabilities and its increasingly aggressive tone. No matter what Taiwanese leaders think of China, they cannot simply ignore it. After four decades of sustained economic growth and industrial development, the Communist regime is stronger than ever before. 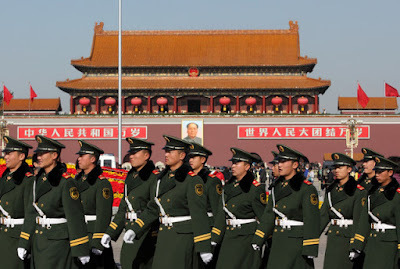 And under Xi Jinping's leadership, it is also more belligerent and nationalistic. A recent report by Taiwan's Ministry of National Defence (MND) highlighted this dangerous situation. According to the report, "China's military has the capability to blockade and seize Taiwan's outlying islands and has not cut back on military exercises targeting Taiwan". Beijing appears to be working on plans for a military attack on the island by 2020, an event that, the paper states, could be triggered by Taiwan moving towards formal independence, by foreign interference in the island's domestic affairs or the deployment of foreign military forces, as well as by Taipei acquiring nuclear weapons. The MND emphasises the fact that China has long been conducting marine espionage activities under the guise of marine scientific research. 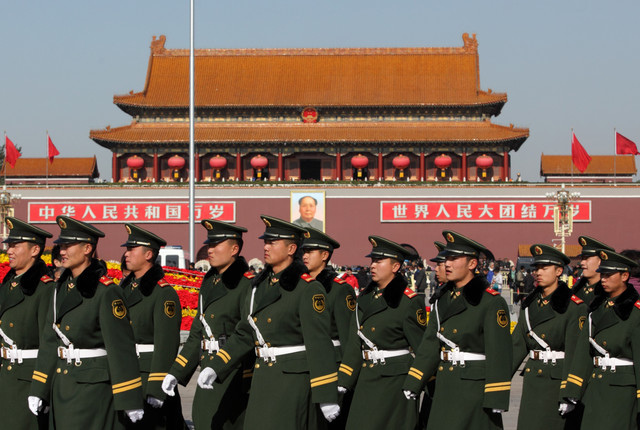 Taiwan is trying to react to the growing threat posed by Beijing. On August 31 the MND announced that one battalion of the 66th brigade of the Marine Corps will be transferred to Beitou, in Taipei City. The purpose of this decision is to enhance Taipei's defence capabilities in case of war. The battalion will consist of 400 to 500 men, and although it will not be provided with heavy military equipment, weapons and vehicles can be easily delivered in case of emergency. The Marine Corps battalion will be the only military force in Taipei alongside the 239 battalion of the Military Police stationed near the Martyrs' Shrine. Meanwhile, on August 31 the Presidential Office announced the appointment of Tian Hongmao (田弘茂) as head of Taiwan's Straits Exchange Foundation (SEF). The SEF was founded in 1991 and although it is technically a private organisation, in reality it is owned and controlled by the government. It serves as an unofficial diplomatic channel between Taipei and Beijing, which do not recognise each other's statehood. Since the post of SEF chairman is currently vacant all semi-official diplomatic channels between the two sides are closed. Tian Hongmao served as Minister of Foreign Affairs under Chen Shui-bian from 2000 to 2002 and he presently heads the Institute for National Policy Research (INPR), a private foundation created by Taiwanese business tycoon Chang Yung-fa. Interviewed by the press, Tian has stated that his new post is "a heavy duty and a long road ahead". He added that he hopes to resume cross-strait talks so that "both sides can learn from one another and discuss the issues they care about". Tian's appointment has by no means softened China's stance. Ni Yongjie (倪永傑), editor-in-chief of the China's pro-unification magazine "Taiwan Straits Studies", stated in an interview given to Xinhua News Agency that Taiwan must recognise the so-called 1992 consensus as the basis for cross-strait dialogue. Taiwan's greatest fear should be irrelevance and economic stagnation. This year China will buy more computer chips – from domestic suppliers using domestic IP – than from Taiwan. And that's just a taste of the changes underway. Thank you for commenting. I agree with your point, but I would say that economic stagnation can also be seen as another fundamental component of China-Taiwan relations. Taiwan needs a strong economy in order to increase its chances of self-defence.